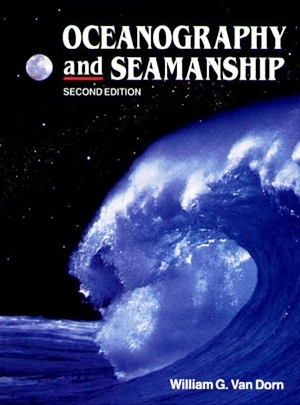 Written by an engineer-sailor-oceanographer, and based on the premise that all who go to sea will benefit from a broader interpretation of seamanship, this book attempts in simple terms to explain the ocean as an operating environment, how boats and ships behave in this environment, and what the average sailor can do to make any voyage safer and more pleasurable. Beginning with the ocean's origin, the author describes its geography, circulation, climate, and meteorology. From waves and breakers he takes us through ship dynamics to strategies for heavy weather seamanship and emergency procedures. The author, William G. Van Dorn, confesses to having a "lifelong love affair with the sea, whether swimming, surfing, diving, sailing, or—for the past forty years—just studying its many moods and facets." Readers of this book will find that his "studying" has yielded an exceedingly rich trove of knowledge about the dynamics of the sea and ways in which men and women who go to sea can handle its various conditions. According to Edmond L. Mandin, retired marine superintendent for American President Lines, Oceanography and Seamanship has a place in the master's research library of every APL containership. "It is considered to be the primer for APL deck officers in the strategies of heavy weather seamanship." This book is an outstanding resource for both the recreational sailor and those in the shipping business who would like to learn more about the behavior of the ocean and the response of the craft that ply it. Originally slanted toward cruising yachtsmen, the book has gained a solid reputation among commercial fishermen, charter boat operators, and shipping companies. It is a reference at maritime academies and is used as a textbook in colleges and secondary schools.